This is a Hand embellished printed canvas - GICLEE PRINT "Pink Day". Giclee Canvas Reproduction of Original Oil Painting –“Pink Day” by Dmitry King, FineArtKing Studio, Bulgaria. Original is available here. 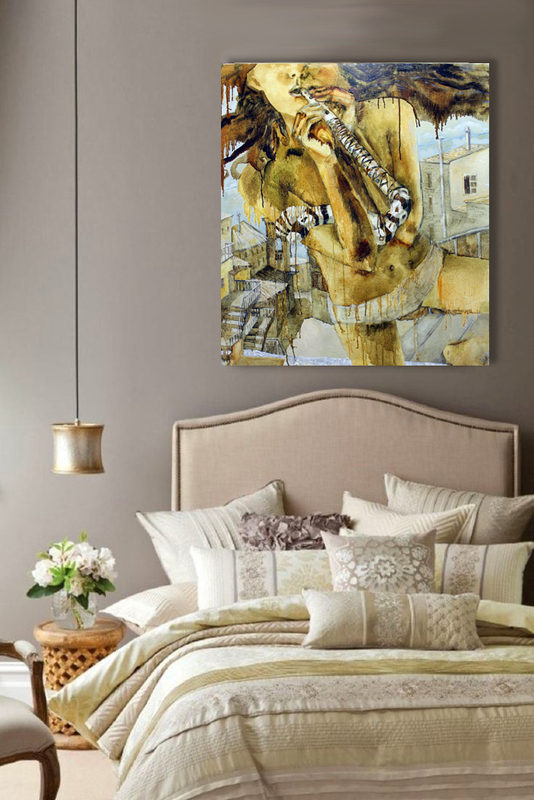 This print is stretched over a wooden frame and then embellished by artist with additional paint to give them added golden shine, depth and beauty. Canvas art print arrives ready to hang with no additional framing required. The piece is ready to hang as soon as you unpack it.